At King Dental Group, we understand that having crooked teeth can be a source of physical and social discomfort. It’s our goal to give our patients smiles that make them feel confident. We want to help you and your family have beautiful, straight teeth. 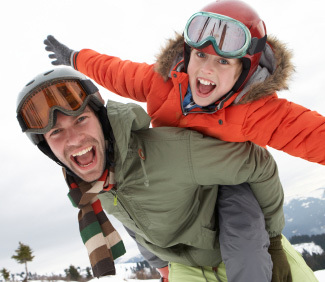 We offer orthodontic services to both children and adults, so the entire family can have happy smiles. Our team provides a few different orthodontic options to help you achieve a straighter smile. We offer both Crozat dental appliances and Invisalign. A Crozat is a special dental appliance fashioned from wire that can be used to help patients achieve straighter teeth. Crozats can also be used to help children with proper arch development. Speech: Traditional braces can interfere with your speech. A Crozat can ensure that speaking and communication remain unaffected. You can talk as you normally do! Hygiene: Because Crozats are removable, it is much easier to keep your teeth clean and healthy. Stability: If your children have arches in their mouth that could use a little help, a Crozat can provide the stability their mouth needs. Comfort: Crozats are comfortable to wear because they are custom made for your mouth. They won’t slip or slide because they’ve been customized to the specifications of your mouth. Appearance: Most people don’t even realize when one of our patients is wearing a Crozat. They are usually not immediately visible to people. 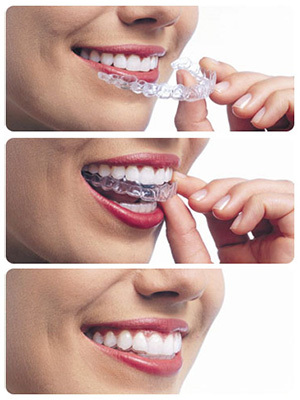 Invisalign is a clear braces system that is used to gently straighten teeth. Overtime, these clear aligners will gradually shift your teeth into their proper position. Comfort: Invisalign uses clear, BPA-free trays to help you gently attain straight teeth. These straightening trays are custom made to fit your mouth, so it should fit snugly and securely in your mouth. Convenience: With traditional braces, food is more prone to getting stuck in your teeth and the wires of your braces. Invisalign’s removable trays allow patients to eat the foods they love. They can also remove the trays to brush and floss their teeth. With Invisalign, you can enjoy your normal, everyday routines. Time: Traditional braces can take approximately 2 years to complete treatment. Invisalign works to help you have a straighter, more beautiful smile in a period of about 9 months to a year! If you have any questions about Crozats or Invisalign, please contact us today! Dr. King is excited to offer these wonderful orthodontics services to his patients in the Santa Barbara area, from Montecito to Goleta.